How to change my MockFlow ID / username? 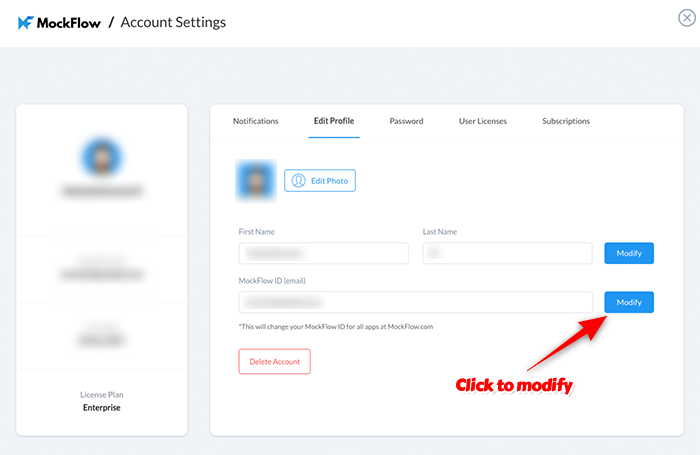 In order to change the email ID associated with your MockFlow account, Login to your account and in the dashboard; click 'My Account'->'Edit profile' to perform this operation. 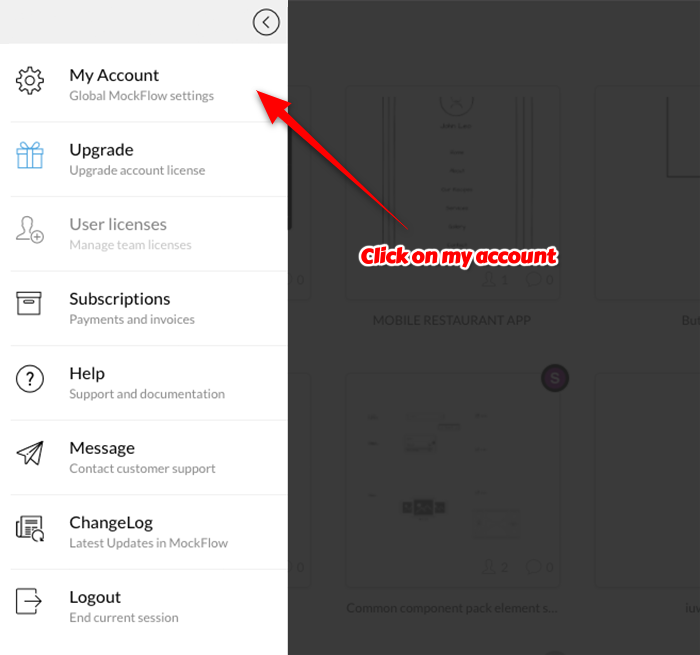 Changing the ID, changes the username across all apps available in MockFlow. 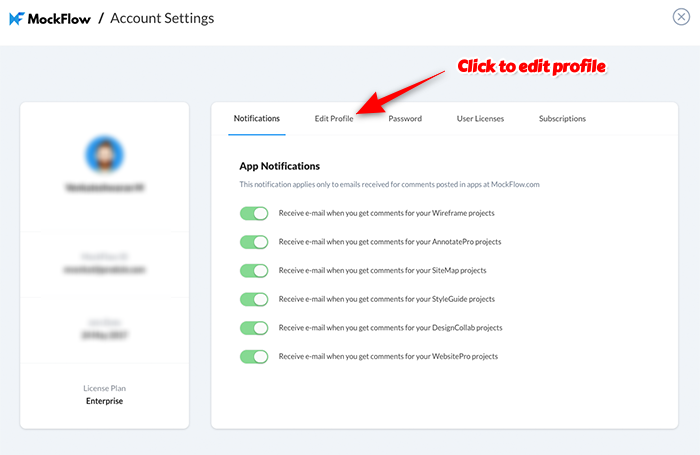 Note: If a MockFlow account already exists with the ID you want to change, then it is not possible until the MockFlow account with that ID is first deleted.